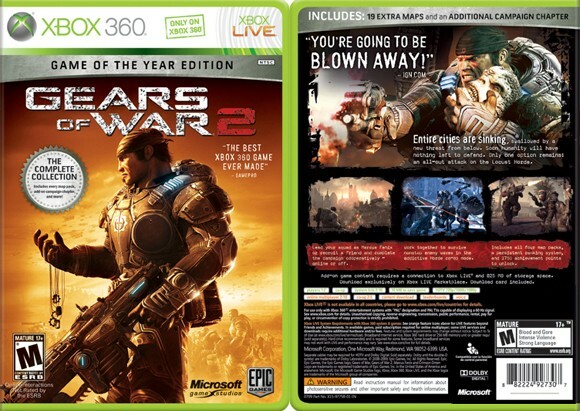 Online retailer Amazon.com is listing a September 1st ship date for Gears of War 2: Game of the Year Edition. Retailing for $40, and available for $37, the game packs Gear 2 and all of the DLC content onto one fine disc. That gets you a two player co-op campaign, 19 maps for 5 player co-op Horde mode, and the additional Dark Corners 2 player co-op campaign chapter. Suckers, er, I mean early adopters, paid almost $100 for all of that content. If you've waited on Gears 2, now is your chance to hop on the Cole train! Page created in 0.3533 seconds.